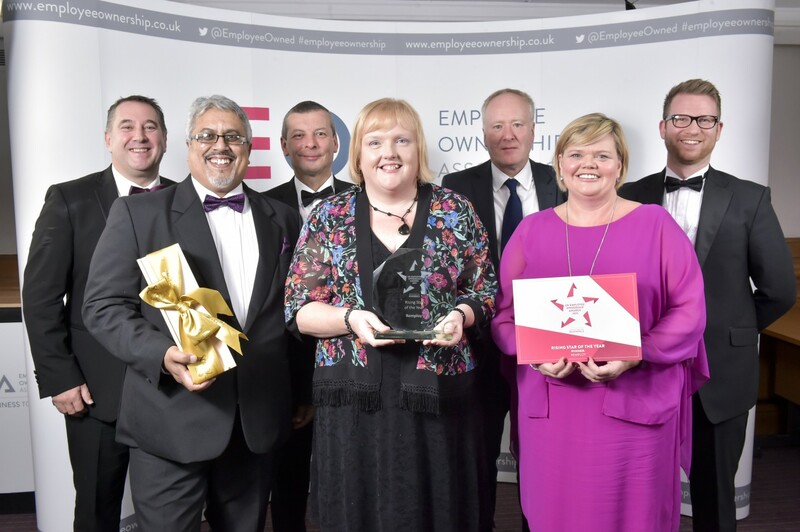 Leading employment placement service provider, Remploy, was celebrating last night after being awarded the Rising Star of the Year Award by the BBC’s Martine Croxall at this year’s UK Employee Ownership Awards. This award celebrates an organisation that has become employee owned no more than 3 years prior to September 2015, and is already becoming an effective company with a very strong culture of employee ownership. An independent group of judges from the employee owned sector highlighted the success of the public service spinout in developing an environment where every employee is striving to improve the business, and ensure that Remploy is established as a successful commercial business delivering its social mission of transforming the lives of disabled people through sustainable employment. Judges particularly praised the detailed next steps to cement employee ownership into the culture of Remploy.